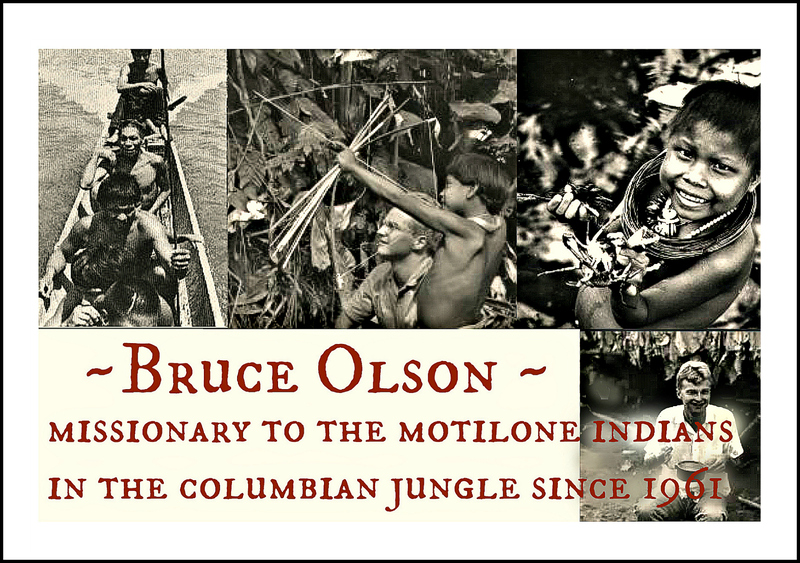 DESCRIPTION: Since 1961, missionary Bruce Olson has labored for the gospel of Jesus Christ among the Motilone Indians deep in the jungles of Colombia’s high Catatumbo region. But today Olson’s most exciting missionary work still lies ahead. BIOGRAPHY BRUCE OLSON: When Bruce Olson was 19, he bought a one-way ticket to South America. He traveled into the uncharted jungles of northeast Colombia. There, 45 years ago, he found the Motilones, a fierce, primitive Indian tribe. The Motilones called him “Bruchko” because that is how they pronounced his name. Though Olson had no official sponsorship from a missions board or organization, in the ensuing years, he established medical clinics and schools for the tribe. He has translated Scripture into their language. And he has led many of them in accepting Christ as their Savior. The small yet volatile country of Colombia has long been plagued with escalating problems, including revolutionary uprisings and plundering by drug barons. In the midst of the danger, the turmoil and the cocaine trafficking, Olson has quietly and effectively won the love and respect of the Motilones, and in fact, the entire nation. In his book titled Bruchko, Olson tells the story of his early years of ministry in Colombia. Olson lived and worked with the Motilones until October 1988 when the shocking news came: He had been captured by a band of guerrilla terrorists intent on controlling Motilone territory as part of their strategy for revolution. He would face torture and death threats. He was in captivity for nine months. During that time he was faced with a firing squad, only to find that the bullets were blanks in an attempt to break him, but it didn’t work. Olson led many of the guerrillas to the Lord. Olson is thankful that God was quietly working out His sovereign will, not only in his life, but in the lives of everyone involved: the Motilones and other tribal peoples, the people of Colombia, the guerrillas, and indeed, people all over the world. The work continues today. More than 30 professionals have graduated from Colombian universities, among which are physicians, accounts, translators, Bible scholars, forest rangers, agronomists, and more than 400 as technical apprentices and high school graduates. All the students are back among their respective communities sharing the expertise of their newly acquired knowledge.